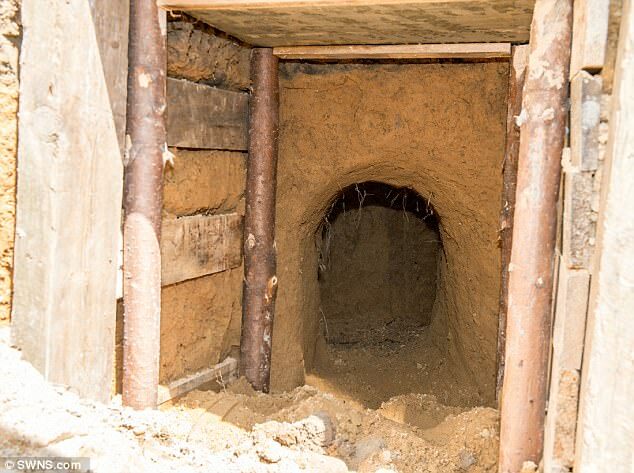 A rabbit warren of tunnels worthy of the Great Escape were discovered at an occupied eco-warrior site protesting against oil drilling. 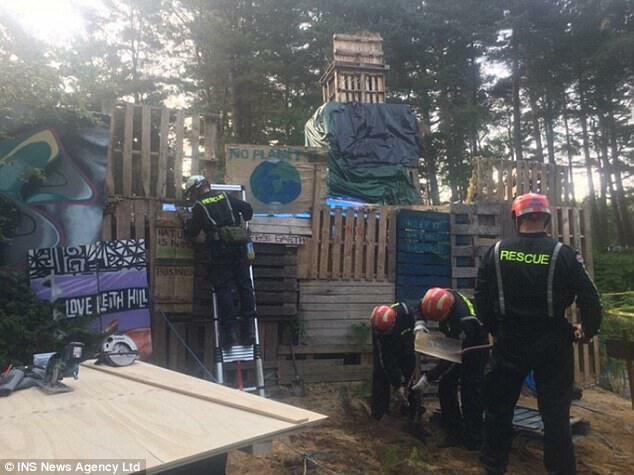 The network was built under a 25ft fort as campaigners fight exploratory oil drilling in an Area of Outstanding Natural Beauty and Green Belt land near the Sussex Downs. It was estimated that it will take more than three days to clear the site of the protesters and camp at Coldharbour in Surrey. 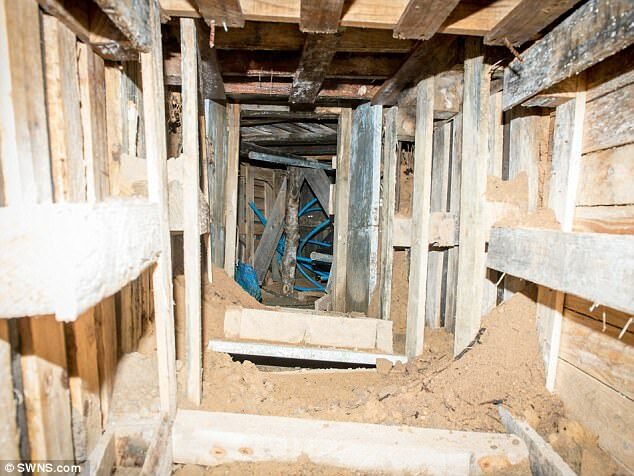 Several tree houses were discovered in the trees and taken down within the first hours of the operation by a a team of bailiffs, security staff and specialist removal crews. 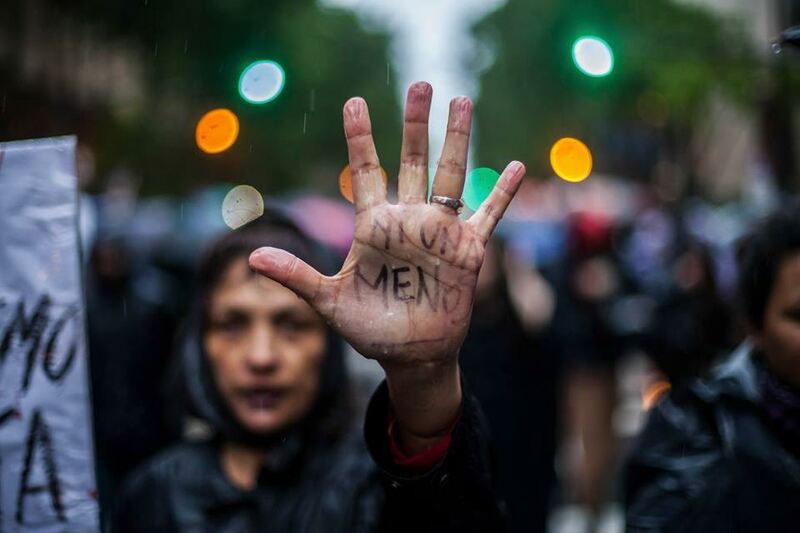 When Argentinian women strike tomorrow, they’ll do so in resistance to a terrifying wave of femicides. 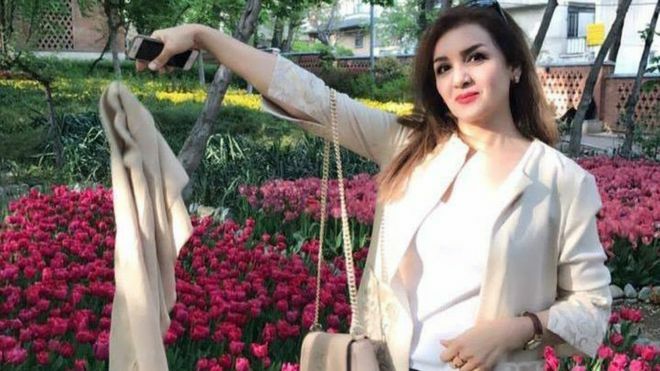 The March 8 Women’s Strike will bring women all over the world together, showing us possible connections within an emerging women’s international. In this regard, Latin America offers us an important model.The region’s revitalized feminist movement has pushed past old boundaries, aligning itself with the environmental movement, labor unions, and struggles for expanded sexual, economic, and social rights. It has effectively withstood a neoliberal onslaught that has, for the most part, neutralized the region’s progressive forces. This website ,Take the Square, started the mass wave of occupations and is still covering inspiring movements today network it. Been doing this blog for 6 odd years since they shut down my first Facebook account. Facebook is a very controlled medium.Fed book as the youth club call it. We need to develop our own communication systems. Similar to the old Indymedia network. I resolve to type more and speak out to all those out there reading this blog, those struggling and striving for a fair just and sustainable future. We need to focus on Solutions. Across the world a tide is turning against the Neo Liberal robbery programme of Austerity. Wherever you are take action every day, I'm getting a bit older and tired at the edges,but the next generation is coming on strong and has tools that we never had in the early nineties. The internet connects you globally in an instant to many groups,projects movements and campaigns. Now more than ever it is time to use the power of networking ,to bring people together for change. Be the change you wish in the world. Another world is possible and in many places its already here....link these people and places up,weave a web of possibility ,for a brighter sustainable future. Or as we say "Other worlds are possible .......time to broaden our horizons, look to the skies,look deep within,delve deep into the earth ,connect energise and take action for Mother Earth and all her Children. The General Election result was devastating for Theresa May and the Conservatives. She called it to gain a bigger majority in Parliament, and despite massive media bias in her favour, she failed spectacularly to deliver on that. Now the Conservative Party are in chaos, forced to try to prop up a Government with the deeply conservative and regressive DUP. Even if they can get a Queens Speech through Parliament this arrangement is unsustainable, it won't last for long. 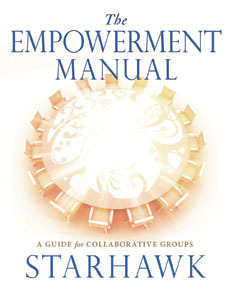 Drawing on four decades of experience, Starhawk shows how collaborative groups can generate the cooperation, efficacy and commitment critical to success. Her extensive exploration of group process is woven together with the story of RootBound—a fictional ecovillage mired in conflict— and rounded out with a series of real-life case studies. The included exercises and facilitator’s toolbox show how to establish the necessary structures, ground rules and healthy norms. The Empowerment Manual is required reading for anyone who wants to help their group avoid disagreement and disillusionment and become a wellspring of creativity and innovation. The donation to Arlene Foster’s party – which was used to fund key Leave campaign advertisements across the UK in the run up to the European referendum – was initially kept hidden because of Northern Ireland’s donor secrecy laws. However, under pressure from activists after openDemocracy revealed how Brexit campaigners were funnelling dark money through Northern Ireland to fund “Take Back Control” adverts, the Democratic Unionist Party was forced last night to reveal its major donor to be a group calling itself the Constitutional Research Council. The terrorists who rampaged across London on the night of 3 June were part of a wider extremist network closely monitored by MI5 for decades. 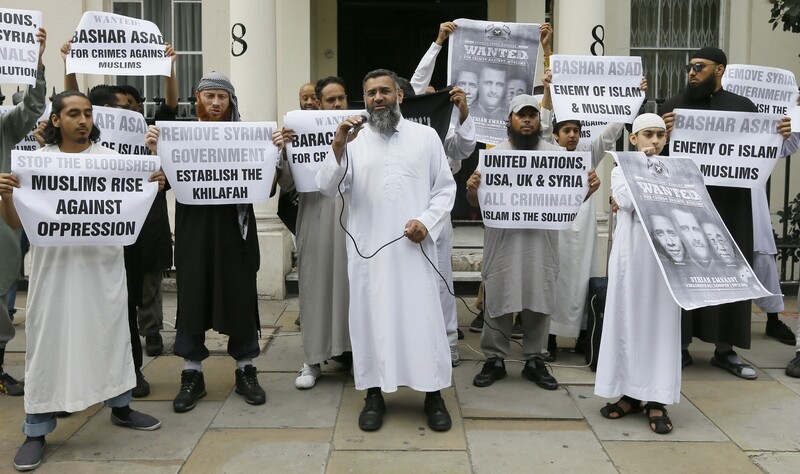 The same network was heavily involved in recruiting Britons to fight with jihadist groups in Syria, Iraq and Libya. John McDonnell may be in a sunny, relaxed mood as he relaxes at Labour’s London HQ and predicts victory. Yet even he is under no illusion that for Labour to run the Tories close in Thursday’s election, it needs to secure an unprecedented level of backing among young voters for its radical programme.